Workitect has modified the way in which it sells licenses for its intellectual property. The Competency Dictionary license will be sold as part of an “integrated set” , or competency tools bundle, that includes the Competency Development Guide and Competency Interview Guides at a price less than the cost of the same three products now being sold together. The fee is a one-time fee, with no annual renewal fees. For clients who only want the Competency Dictionary at this time, the license for it will be one-half of the cost of the set. This is an example of how each competency appears in the three formats. The example is for the “Strategic Thinking” competency. These three products together will enable your Human Resources department to quickly implement a complete competency-based talent management system, without the need for expensive software. 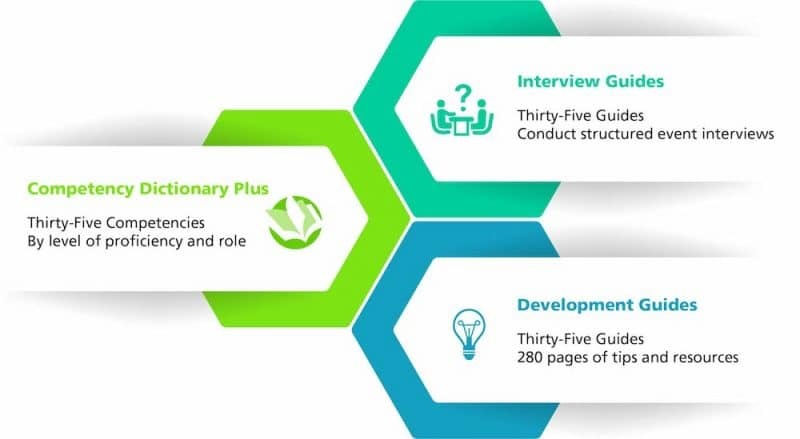 You will be able to build competency models, interview candidates, and develop employees using an integrated set of tools with a common set of core competencies that can be customized to your organization’s culture, mission, and business strategy. You will also be able to give each employee a copy of his or her own development guide and the tools to create a personal development plan, as LinkedIn and Schwab have done for their employees. Provide each manager with a superb tool to improve your talent acquisition process. 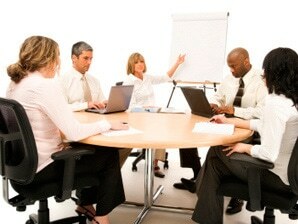 You can integrate everything into your own HRIS. Use the dictionary to build a competency model now! Follow the process described in this self-instructional program drawn from our Building Competency Models certification workshop. Customizable generic models for 12 positions. Please contact me at 800-870-9490 or ec@workitect.com if you have any questions, want to see a demo of the materials, or acquire a license.